How Is a Crystal Oscillator Used in Medicine? Do you know what a crystal oscillator is? Most people don’t but this device is very popular in medical technology. Crystal oscillators are used to power MRI equipment, diagnostic testing and more. In this article, we’ll explore crystal oscillators and how they’re used in medical technology? A crystal oscillator is a device that harnesses the vibrating frequency of crystal to deliver power. A crystal oscillator is categorized as an electric oscillator. Electric oscillators are electronic circuits that change a direct current into an alternating current to create a vibrating electronic signal. Typically, crystal oscillators use quartz crystals to operate. What Does the Quartz Do? The quartz creates an oscillating frequency that’s used as a clock signal. Quartz is a piezoelectric material. Piezoelectric materials absorb energy and develop an electric charge when stress is applied to the material. Crystals are praised for their piezoelectric capabilities. What are the benefits of Oscillators? Oscillators can be standalone devices or they can be integrated into another device. Quartz clocks use the crystal frequencies to deliver timing pulses that tell time accurately. Why Use Oscillators in Medical Equipment? Medical equipment manufacturers can purchase crystal oscillators separately and incorporate them into the device. Crystal oscillators range in size and scope. Despite their size, these oscillators have a high-frequency range. They are great for portable medical equipment because you can select the frequency. Crystal oscillators don’t interfere with the function of the machine and they provide steady and reliable clock signals. For audiologists, oscillators are used for auditory equipment to test a patient’s hearing. The frequency of a quartz oscillator is the same frequency as a human’s hearing range. Medical technology is rapidly growing, as new equipment is produced, manufacturers will need devices that can be integrated seamlessly into the machines. A clock signal is an important component of a medical device because in medicine, every second counts. Medical devices need clocks working on a reliable system to deliver the correct information. What Does the Crystal Oscillator Market Look Like? Experts predict that the crystal oscillator market will grow to over $3 billion by 2022. The demand for oscillators is growing due to advancements in medical technology. The market was valued at $2.4 billion in 2015, so growth has exploded within the last three years. Manufacturers prefer these oscillators because they are relatively inexpensive to make. Right now, temperature compensated crystal oscillators have the highest market share. Demand for these specialized oscillators grew due to consumer electronics products. Manufacturers are also showing a preference for surface mount oscillators due to its high-density levels. 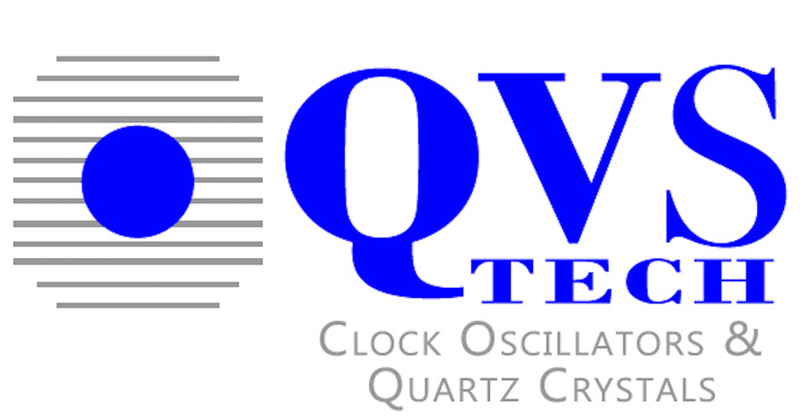 At QVS tech we have a wide range of quartz crystals. Our crystals also range in tolerance and temperature to meet your product’s needs.